Tinnitus is a sensation of sound which is not present in the external environment. It can be heard as a ringing, buzzing, hissing, whistling, throbbing, booming, clicking, roaring or cicada-like noise. Tinnitus can be a single sound or a number of different sounds and it can develop gradually or suddenly. 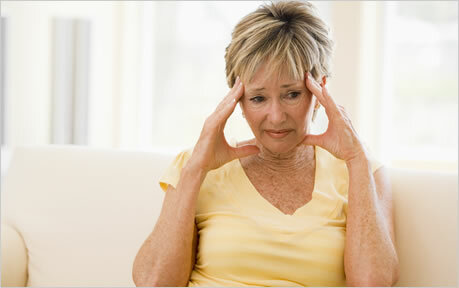 Tinnitus is a common phenomenon with most people experiencing it at some time, especially in quiet surroundings. Approximately 20% of the population experience persistent tinnitus and 4% of the population have tinnitus that severely impacts on quality of life. Tinnitus is a common symptom associated with hearing loss. The current best theory for this is due to ‘neural plasticity’ in the brain. When the brain does not receive regular stimulus from parts of the body, it can actively search surrounding areas of the brain for this stimulus. When the brain finds this stimulus, it re-interprets these signals as coming from the area which is missing. The best example of this in action is when an amputee can feel their missing foot itching. When a hearing loss develops, the brain is starved of neural activity from the hearing system and in response to this, searches for nerve activity from other areas of the body. Once found, the brain then reinterprets this as the missing sounds, causing constant buzzing or ringing in the ears. When tinnitus exists as a symptom of a hearing loss, the best solution for this is to be fitted with appropriately prescribed hearing aids. Bringing back the nerve stimulus from the hearing system to the brain in most cases can reduce or even eliminate the tinnitus completely. If tinnitus exists without a hearing loss, the aim of tinnitus treatment and management is to achieve habituation. Tinnitus habituation is when a person becomes less aware of their tinnitus and, when heard, does not associate distress or adversely affect lifestyle. Just as someone living next to a railway track will tune out the sound of passing trains, the brain can be trained to ‘tune out’ tinnitus. One way of tinnitus management is tinnitus masking. Imagine a single candle burning in a dark room. By comparison, the candle seems very bright to the surrounding darkness. But if you were to turn the lights on in the room – suddenly the candle’s glow seems hardly noticeable. This is similar to the theory of how masking noise can help treat tinnitus. Any other competing sound can help distract the hearing system from the tinnitus. This can be achieved through having a radio playing, the trickling of a water feature, using environmental noise makers and specialised tinnitus masking devices. Your Hear Again Clinician can work with you to recommend appropriate strategies and devices. There are a number of other types of tinnitus treatment which can range from counselling and therapy programmes to biofeedback relaxation techniques, information on diet, stress relief and medication. Hear Again can work together with you to find appropriate providers, make referrals and help find solutions.